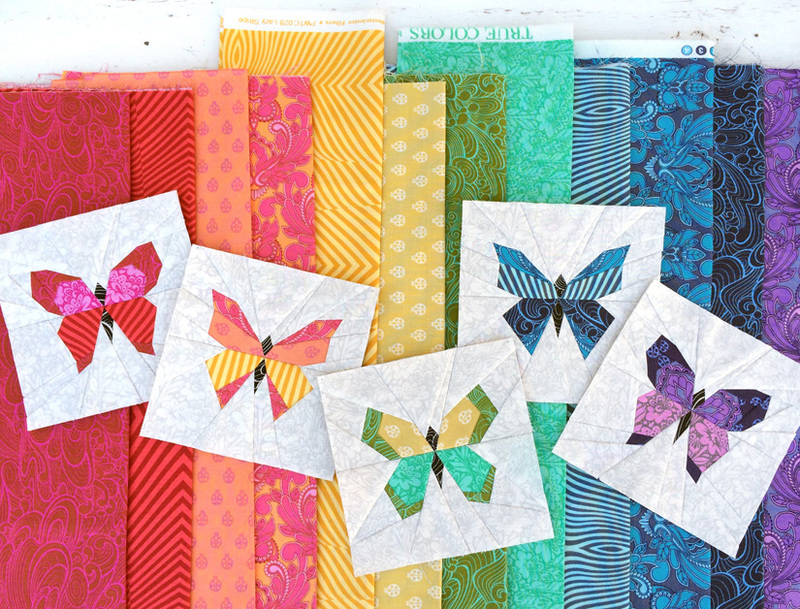 Say hello to Cricket, Gidget & Pepper, the Butterfly Charm Blocks! These little paper pieced blocks measure 5.5” after piecing and can be used as a 5” finished square or trimmed to 5” for a 4.5” finished square, making them perfect for mixing with 5” charms. Click here for the PDf patterns. enjoyed you site and thank you for the wonderful free patterns! Well, I did my first paper pieced block. I chose Gidget since she seemed the easiest to make and I used Cassandra’s tut as well. Thank you so much for your generosity. I’m working on the maker mat. I will try and share when it’s complete. Again thanks! Hey Paula! Short answer, yes. You can reduce or enlarge any pattern. The only thing that will change and affect measurements is the outer 1/4″ seam allowance. It will be larger than needed when you blow up a pattern. So, in that case, you would simple trim using a 1/4 guide on a quilters ruler rather than using the dotted seam allowance line on the pattern. I hope this helps! Thank you so much for the free patterns. Love the butterflies. Thanks for sharing. thanks for butterfly paper piecing and for the machine cover tutorial. It’s so nice. Can’t wait to make it, time permitting.